How did it become more dangerous in Hollywood to be a Republican than a child molester? Harnessing an exclusive network of high-profile sources, America’s most dangerous and provocative commentator takes readers on a journey into the sordid, sexually-abusive, hypocritical world of Hollywood. DESPICABLE paints a horrific picture of men, women and children abused and intimidated by the richest and most powerful people in America. 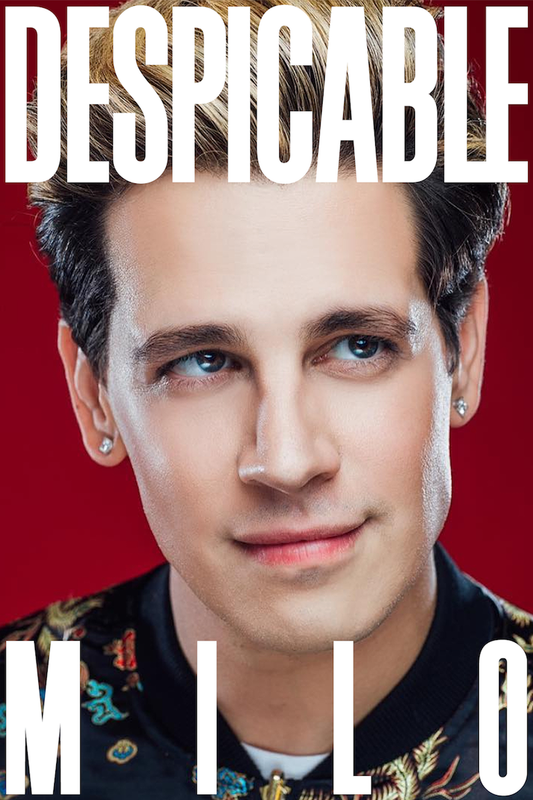 Award-winning journalist and New York Times bestselling author MILO tells readers what he saw while living in Beverly Hills in the 2000s and shares the untold stories of actors, musicians and other friends in his address book who will, in DESPICABLE, finally name their abusers. DESPICABLE maps out the links — financial and otherwise — between Hollywood power players and the Democrat Party. Conservatives in Hollywood lay bare the difficulty in getting their projects off the ground — and the ostracism they suffer for their political and religious beliefs. DESPICABLE explains how an industry that once inspired the world became a cesspool of moral decrepitude, lecturing the rest of us on how to live while turning a blind eye to appalling abuses on its own doorstep. 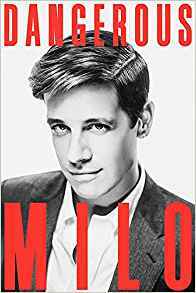 Most revealingly of all, in this new book, MILO shows how the movie business’s recent box-office disasters stem from the same cancerous center as its constant finger-wagging: a collapse of moral foundations. Hollywood, like American liberalism in general, has become nihilistic, writes MILO. Whether it can survive will depend on this ossified, narcissistic and ideologically homogenous industry’s ability to accept the only diversity that matters: diversity of opinion and belief. Scientists and governments are actively searching for signs of life in the universe. Will their efforts meet with success? 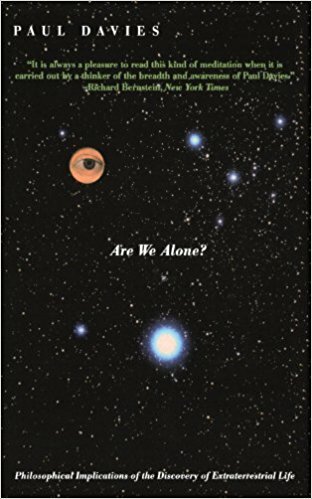 Award-winning author Paul Davies, an eminent scientist who writes with the flair of a science fiction writer, explores the ramifications that the discovery of extraterrestrial life would have for our science, our religions, and our worldview in general. From the legendary whistle-blower who revealed the Pentagon Papers, an eyewitness exposé of the dangers of America's Top Secret, seventy-year-long nuclear policy that continues to this day. Framed as a memoir--a chronicle of madness in which Ellsberg acknowledges participating--this gripping exposé reads like a thriller and offers feasible steps we can take to dismantle the existing "doomsday machine" and avoid nuclear catastrophe, returning Ellsberg to his role as whistle-blower. 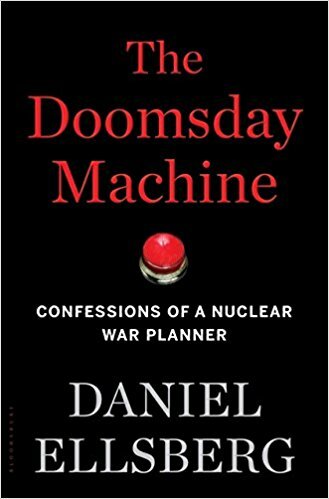 The Doomsday Machine is thus a real-life Dr. Strangelove story and an ultimately hopeful--and powerfully important--book about not just our country, but the future of the world. 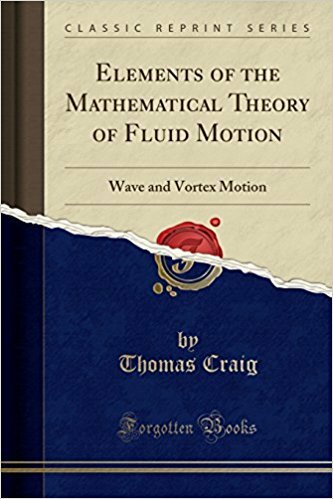 Of late years, much has appeared in different places upon the subject of Hydrodynamics, but, so far as I am aware, there is no general work either in the English, French or German lan guages. The aim of this paper and the treatise which will follow will be to combine in one work, all of importance that has been written upon the subject, and so enable the student to forego the immense amount of research necessary in order thoroughly to inform himself upon any one branch. Of the subject. This book is a forensic analysis of what effectively is a crime scene. Ground Zero and the surrounding areas were photographed countless thousands of times, yet no one really assessed all of the phenomena found in these photographs. 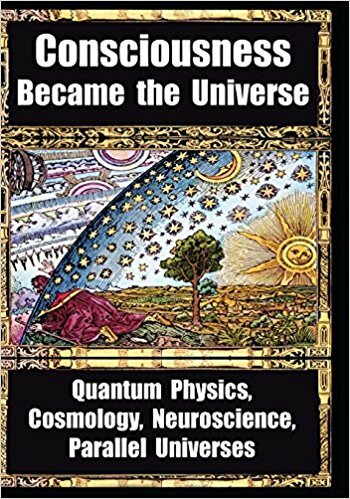 What is presented in this book is not a theory and it is not speculation. It is evidence. It is the body of empirical evidence that must be explained in order to determine what happened at Ground Zero. Anyone declaring who did what or how they did it before they have determined what was done is merely promoting either speculation or propaganda. The popular chant, "9/11 was an inside job," is, scientifically speaking, no different from the chant that "19 bad guys with box cutters did it." Neither one is the result of a scientific investigation supported by evidence that would be admissible in court. Neither identifies what crime was committed or how it was committed. 4) WHY they did it (i.e. motive). Let us remember what is required to (legally) convict someone of a crime. You cannot convict someone of a crime based on belief. You cannot convict someone of a crime if you don't even know what crime to charge them with. If you accuse someone of murder using a gun, you'd better be sure the body has a bullet hole in it. Yet, before noon on 9/11/01, we were told who did it, how they did it, and why they did it (they hate us for our freedoms); before any investigation had been conducted to determine what had even been done. Many people have speculated as to who committed the crimes of 9/11 and/or how they did so. But without addressing what happened, speculation of this kind is nothing more than conspiracy theory. My research is not speculation. 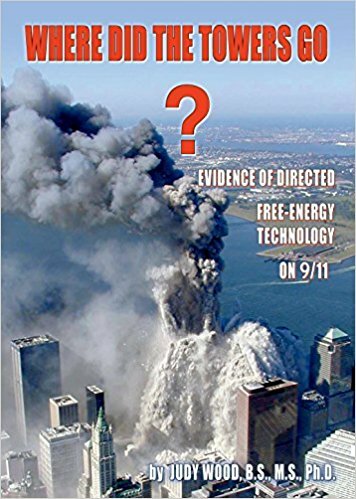 It is a forensic investigation of what happened to the WTC complex on 9/11. 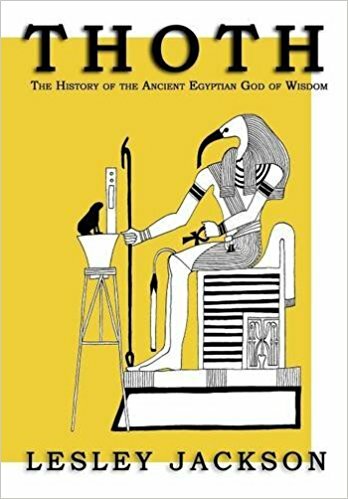 This 624-page, large format book is a literal encyclopedia of rare, unbelievable information that exposes the dynasties that make up the global elite. You've seen the pieces of the puzzle thorughout your time and the past, but you still lie awake at night wondering - who's in charge? With Bloodlines of the Illuminati by Fritz Springmeier, you'll get a unique and well-researched historical genealogy listing of who's-doing-what in rich detail that provides a devastating and all-encompassing expose of the people and familiers who have become the movers and shakers of the United States Government and beyond. Some names you will recognize instantly. Some you'll learn dangerous secrets about due to the mainstream hiding them away. From international finance to war and beyond, presidents and dictators alike hold their tongue and abandon their ground to these leaders in the Bloodline of the Illuminati encyclopedia. When the pieces all come together, you'll see why Alex Jones and your fellow Infowarriors are fighting hard against the globalist tyrannical agenda and the Illuminati and Deep State forces to preserve our rights and defend our nation. Who really controls world events from behind-the-scenes? Bloodlines of the Illuminati answers the questions and provides a devastating exposé of the people and families who are the movers and shakers of the entire world. Years of extensive research and investigation have gone into this massively documented work which is rich in detail. Includes photos, illustrations, charts, and membership lists to the most elite secret societies in the world. 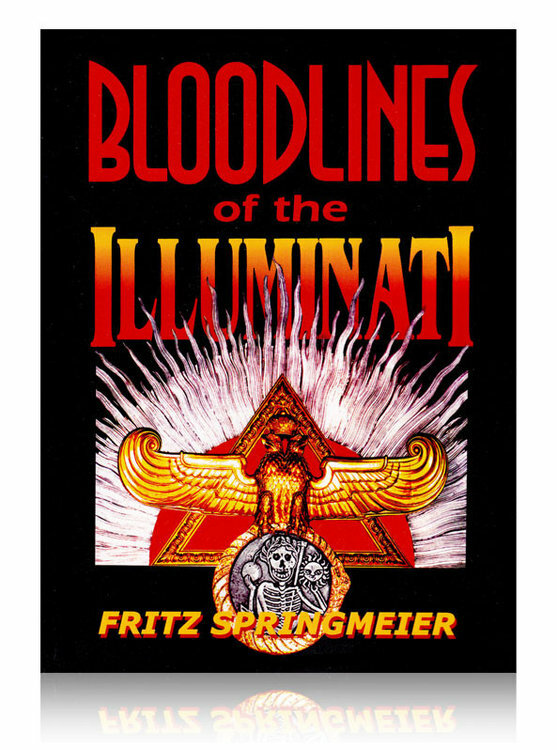 Author Fritz Springmeier discloses mind-boggling facts and never before revealed truths about the top Illuminati dynasties. Discover the amazing role these bloodlines have played, and are now wielding, in human history with family names such as Astor, DuPont, Kennedy, Onassis, Rockefeller, Rothschild, Russell, Van Duyn and Krupp. You will also learn of the secretive Chinese Li family, which operates with impunity in the U.S. and around the world. Along the way you will find out why President John F. Kennedy and actress Grace Kelly were killed, who created the United Nations, who controls the two major U.S. political parties, how the Rothschilds invented and control modern-day Israel, who secretly founded false religions such as the Jehovahs Witnesses and much, much more. This is the third and latest edition of this book. The author has added over forty pages of information to his previous work.